As World War II was coming to a close, the leaders of the Allied Powers met to discuss redrawing the map of Europe. It was decided that Poland's borders would move approximately 200 kilometers to the west. Poland would lose about 178,000 sq. km. to the USSR in the east...and acquire about 101,000 sq. km. from Germany in the west. The result of this historic resettlement greatly affected family history and genealogical research of ethnic Poles originating in Eastern Galicia / Halychyna. The result was staggering. 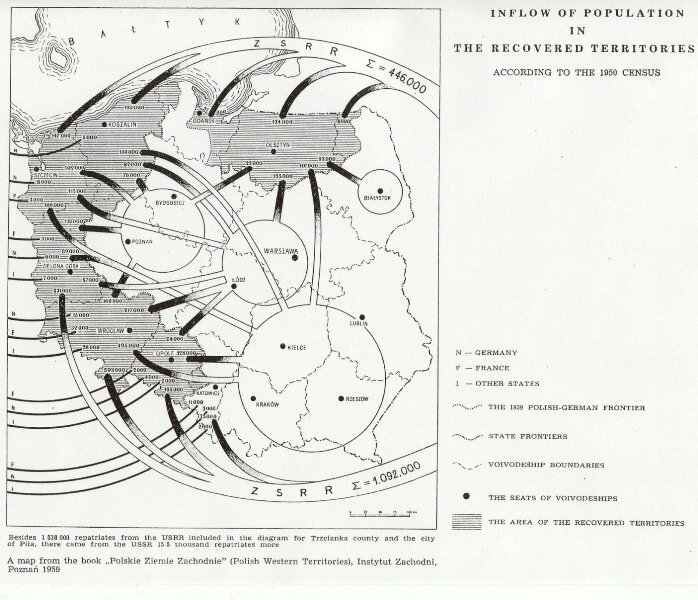 Over one million ethnic Poles moved from what was eastern Poland (sometimes referred to as the Kresy, or Eastern Borderlands) to what came to be called the Recovered Territories in western and northern Poland (which is the dark shaded regions in the above map). Understand why your Polish relatives no longer live where they did before World War II. Locate records regarding the Resettlement. Find relatives who moved to different regions of Poland. Understand how your relatives were born in Lwów, but died in Wrocław, hundreds of kilometers to the west. Researching ethnic Polish roots from territories now located in Ukraine, Belarus and Lithuania. Researching ethnic Polish migration within Poland during the tumultuous years immediately following WWII. Researching Ukrainian ancestors and relatives forcibly removed from their homeland during the ethnic cleansing campaign known as Akcja Wisła. 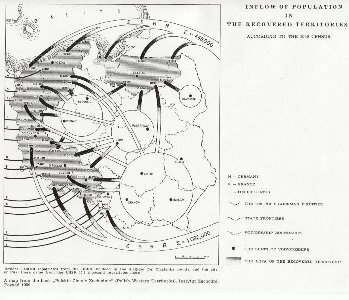 For an excellent article on population exchanges in Poland during the period of 1939 to 1948 (covering Polish, German, Ukrainian, Belarusian and Jews), please read Piotr Eberhardt's English language article Political Migrations in Poland, 1939-1948.